Back in the last quarter of 2010, as the big three Auto manufacturers lobbied for bail outs, and later filed for bankruptcy, Detroit's fate was all but sealed. Well, the fat lady is singing, and this is a political and public relations mess. There are hints of mismanagement or misappropriation of funds and a fair share of finger pointing - but at the core of the municipality's fiscal crisis are the Pension funds. How will the courts handle retiree payouts: will they remain at par or will they be reduced? The residents of Detroit are in for an interesting turn of events. This is a serious wake up call, to say the least. How did this filing come about? Well, from what I can tell, Snyder seemed to have been trying to quietly handle the crisis. Seeing the writing on the wall, Governor Snyder wanted to avoid a possible downgrade of Michigan’s credit rating, which is likely following a messy "unmanaged" bankruptcy. The crisis management strategy was to get ahead of the problem, so that the worst case scenario is a "Structured" bankruptcy - thereby minimizing the negative impact on the State's overall credit rating. 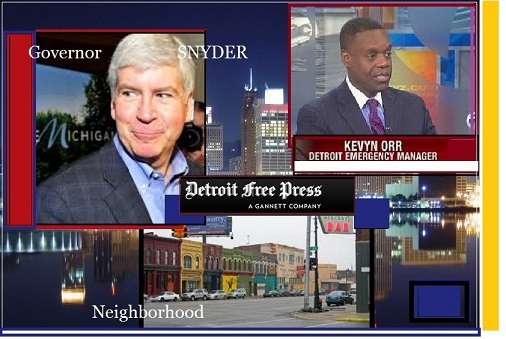 The Wall St. Journal reported that Snyder brought in Kevyn Orr as an Emergency Money Manager to work aggressively to get Detroit’s fiscal house in order. Snyder's secret weapon, Orr, was apparently granted “dictatorship” style authority, essentially rendering the city’s finance department and controller powerless. Kevyn Orr was the lead attorney handling the Chrysler structured bankruptcy, so it could be construed as a sound decision. However, from another perspective, one might say that hiring a bankruptcy attorney is like appointing a wolf to watch over a hen house. How serious is it when a city files for Bankruptcy? . California has probably seen the most cases of bankruptcy than any other state - with city after city filing for bankruptcy protection as a result of the housing crisis and pour money management. The jury is still out as to whether California's troubled counties will recover gracefully. Whatever the case, the road back to solvency is a long and arduous one. As for Detroit, it was clearly heading in the wrong direction prior to the start of Great Recession. In fact, long before the Recession rocked the nation, and later Europe, Detroit was already showing obvious signs of fiscal discord. Their key source of jobs and tax revenue stemmed from the auto industry and ancillary products and services. Although many local businesses and retailers benefited from the economic "trickled down". In all fairness, we can't place Detroit's troubles entirely on the shoulders of the auto industry. There are multiple factors playing into the city's demise. For example: tax revenues over the past 25 years have been on a steady decline as the population and businesses fled to greener pastures. The City of Detroit, at its peak (1950s), had a population of 1.8 million, but the most recent Census Bureau records illustrate a more than 65% decline. 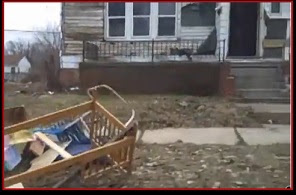 The disturbing reality is that Detroit presently has a population of merely 700 thousand - particularly considering the demographics and socio-economic landscape. Adding insult to injury, over the past 5 to 6 decades the population exodus happen to be primarily the middle class, leaving the city with a disproportionate number of low-income residents. What this boils down to is a dwindling tax revenue base, and increased spending for public assistance, healthcare and other subsidy programs. 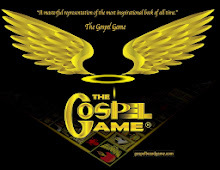 The economic cycle can only spirals downward from there, unless a drastic changes are made. The “Economics-101” explanation would be as follows: When you have a predominately low-income or impoverished population, this translates to a largely unskilled and uneducated labor force – which means local-area businesses can’t fill higher paying jobs that require specialized skills or education. This distressed socio –economic environment drives business out. In turn, joblessness decreases consumer spending, which ultimately cause retailers to close down. High unemployment was not Detroit’s biggest problem. Job creation doesn't help in this scenario unless there’s a strategy implemented to attract businesses and manufacturers with jobs that match the skills of the population. Sheer job creation (in a vacuum)is nothing unless there is also a comprehensive plan to educate or provide training to upgrade the skills of the local workforce. Years of neglect and misguided development spending has come to a head. There's been ample time (we are talking decades) for anyone from the parade of politicians to step up and show real leadership. It’s hard to believe that none of the government agencies or organizations could have developed a long-term urban renewal strategy to transform Detroit into a thriving economic force. 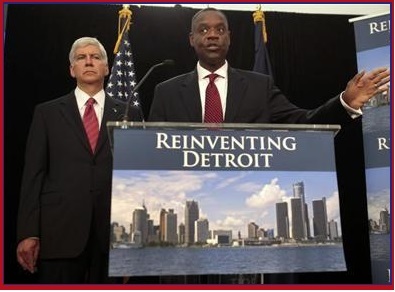 As far back as I can remember, Detroit was known for its high crime, and unemployment, but the combined burden of high unemployment, crime, foreclosures and abandon properties - against the backdrop of diminishing revenues, and $18 billion in debt obligations – you’re looking at a time bomb.